*PLEASE NOTE: Due to some exporting issues with the audio file for this episode, you may experience a very brief pause at the 8:02-8:13 and 10:30-10:36 marks. Today's show features Celebrity Fashion Designer & Tailor, Fhonia Ellis. 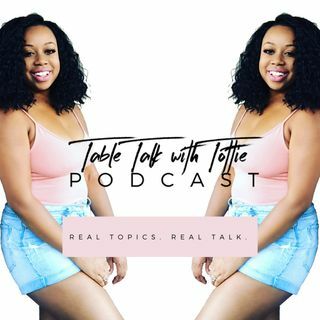 We discuss our paths crossing during internships at BET Networks, how to leave your mark if you're from a small city & more. Plus Fhonia gives us the scoop on how she met Beyonce's stylist Ty Hunter, landed Cardi B as a client + how to ... Maggiori informazioni rebuild your wardrobe on a budget. Check out Fhonia's series at http://Instagram.com/fhoniaellis Listen to past episodes of the show at: http://NatashaWeston.com/podcast Partner for an upcoming episode: hello@natashaweston.com Today's show is sponsored by Tot Spot Productions Connect with Natasha on Social! http://Facebook.com/OfficialTottie http://Instagram.com/OfficialTottie http://Snapchat.com/add/OfficialTottie http://Twitter.com/OfficialTottie http://Youtube.com/OfficialTottie Don't forget to RATE, REVIEW & SUBSCRIBE!